The only thing remaining to be done before we can complete the process of designing the schematic for our new board, is to do an electrical rules check. 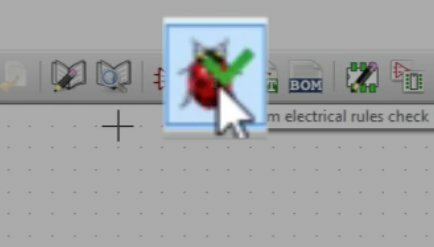 To do the ERC click on the bumblebee button, in the top menu bar. 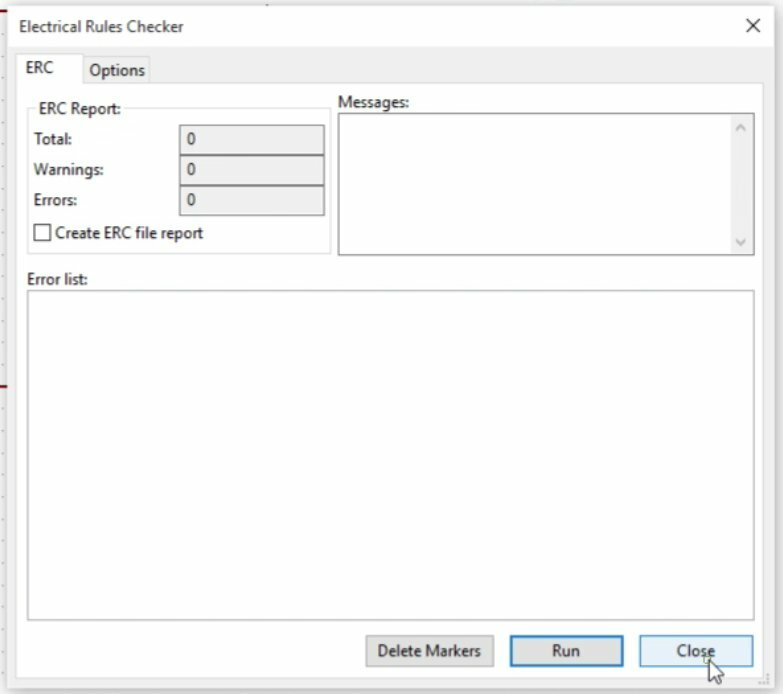 Click on the ERC icon to start the test. Then, click on the Run button to execute the check. There is no output, which means there are no faults. Pin 7 on the nRF24 is NOT connected to pin 8 of the connector. The ERC has found two unconnected pins, and it indicates them with the green arrows. The checker is telling us that we forgot to do do the connections for two pins, which were left unconnected. It uses arrows to help us find the problem and fix it. Let’s fix it. Use the W key to go into wiring mode, and connect the VCC pins. If you try the rules check again you will be able to confirm that the problem is now fixed. No output is a good thing. Close the checker and save the project. Let’s recap what we have so far. We’ve started a new project in Kicad. We have created a schematic. 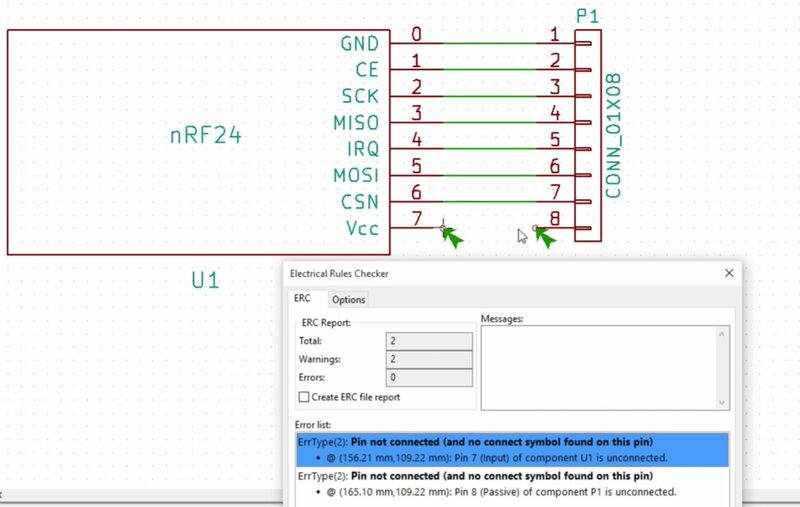 Our schematic contains a connector which is a one rope by eight pins and we have created a custom part because it didn’t exist in the schematic library. This part represents the NRF24 component. We have completed the wirings between the two parts and ran the electrical rules check. The check confirmed that the schematic has no faults. We can now move ahead and start work on the PCB itself. We’ve saved our project and in the next lecture, we’ll start work on the PCB.